Should You Avoid Suncor Energy Inc. (USA) (SU)? 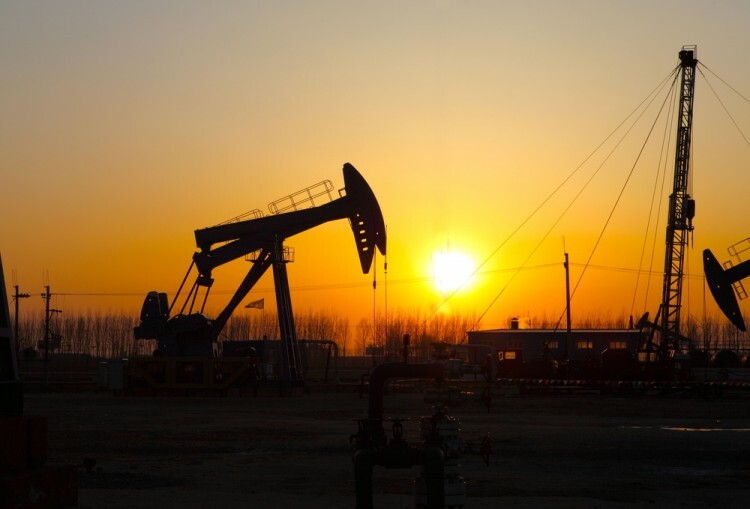 Is Suncor Energy Inc. (USA) (NYSE:SU) a good investment right now? We check hedge fund and billionaire investor sentiment before delving into hours of research. Hedge funds spend millions of dollars on Ivy League graduates, expert networks, and get tips from industry insiders. They fail miserably sometimes but historically their consensus stock picks outperformed the market after adjusting for known risk factors. Suncor Energy Inc. (USA) (NYSE:SU) was in 22 hedge funds’ portfolios at the end of September. SU investors should pay attention to a decrease in support from the world’s most elite money managers recently. 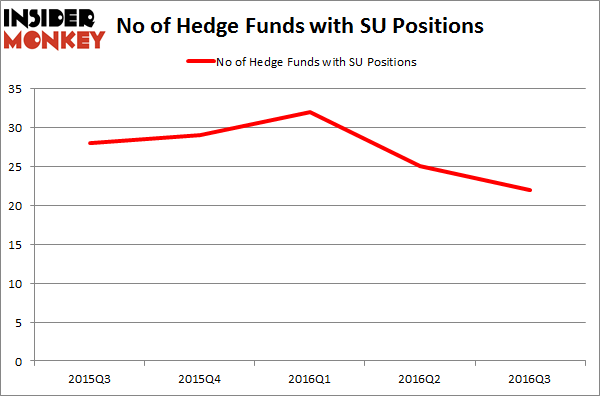 There were 25 hedge funds in our database with SU positions at the end of the previous quarter. The level and the change in hedge fund popularity aren’t the only variables you need to analyze to decipher hedge funds’ perspectives. A stock may witness a boost in popularity but it may still be less popular than similarly priced stocks. That’s why at the end of this article we will examine companies such as Teva Pharmaceutical Industries Ltd (ADR) (NYSE:TEVA), EOG Resources Inc (NYSE:EOG), and Canadian National Railway (USA) (NYSE:CNI) to gather more data points. Heading into the fourth quarter of 2016, a total of 22 of the hedge funds tracked by Insider Monkey were long this stock, a drop of 12% from one quarter earlier, and the second straight quarter that the stock has had a notable loss of hedge fund support. With hedgies’ capital changing hands, there exists a few notable hedge fund managers who were upping their stakes considerably (or already accumulated large positions). According to Insider Monkey’s hedge fund database, Jonathon Jacobson’s Highfields Capital Management has the most valuable position in Suncor Energy Inc. (USA) (NYSE:SU), worth close to $193.5 million, corresponding to 1.8% of its total 13F portfolio. Coming in second is Cliff Asness of AQR Capital Management, with a $104.3 million position. Some other hedge funds and institutional investors that hold long positions comprise Ken Griffin’s Citadel Investment Group, Stephen J. Errico’s Locust Wood Capital Advisers, and Brian Ashford-Russell and Tim Woolley’s Polar Capital.